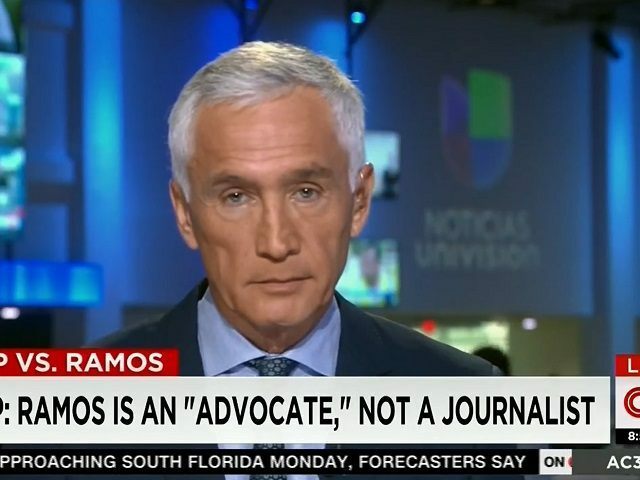 Univision’s Jorge Ramos, the left-wing activist who confronted Donald Trump in Iowa last week and tried to make Trump’s press conference all about him and his pet causes, told CNN this weekend that Kate’s Law is “completely unfair” to millions of illegal immigrants. The proposed law is named after the late Kate Steinle, who was murdered in San Francisco while going on a walk with her father by an illegal immigrant who had previously been deported five times. The illegal immigrant said he came to San Francisco because he knew it was a “sanctuary city.” If Kate’s Law passes, deported illegal immigrants who are caught re-entering the country would be sentenced to a mandatory five-year federal prison term. Ramos, though, insisted that such a law is “completely unfair” to the millions of illegal immigrants in the country. Despite evidence that makes his assertion far from conclusive, Ramos also continued to insist that immigrants (Ramos never said illegal immigrants when referring to crime rates) commit fewer crimes than those born in the U.S.